This revolution has been key to the present momentum in Memphis. With the public sector limping after the Great Recession, foundations stepped up to shape and support city priorities. Investments were made in education, neighborhood redevelopment, aging in place, parks, the riverfront, anti-poverty programs, and icons like the National Civil Rights Museum and Crosstown Concourse. There is so much supported by local foundations today that it’s difficult to remember that once, Memphis had only a handful of philanthropies. With histories dating back to 1942 and 1967 respectively, the Jewish Federation (now Jewish Community Partners) and Community Foundation of Greater Memphis — now the largest philanthropy of its kind in Tennessee — were anchors for community giving. 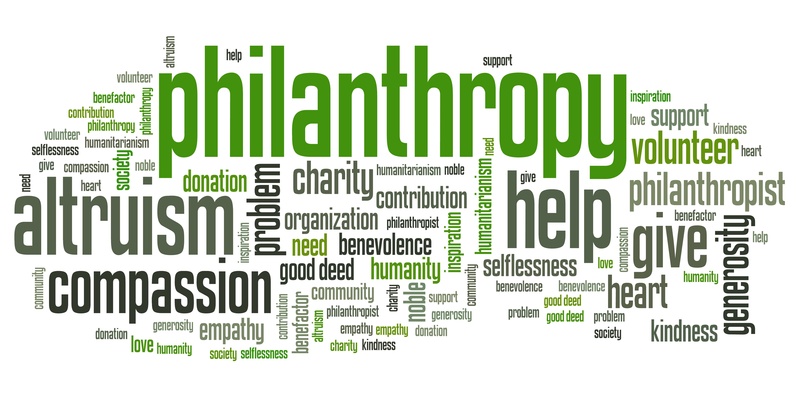 However, the two best-known philanthropies back then were created within a year of each other by two businessmen who began their legendary careers within a year of each other — Abe Plough and J.R. Hyde Sr.
Plough borrowed $125 from his father in 1908 to buy a horse and wagon to sell homemade remedies, growing it into one of the world’s largest pharmaceutical companies. He established the Plough Foundation in 1971 and gave grants as “Mr. Anonymous” although all of Memphis knew whom they were from. (Read Vance Lauderdale’s profile of Plough on Page 64). Hyde founded his eponymous family foundation a year later after starting Malone & Hyde in 1907 with a small grocery store that grew to become the South’s largest wholesale food company. For decades, they were the dominant foundations in Memphis, but that all changed in the 1990s as dozens of new philanthropies were spawned, including one by Hyde’s grandson, J.R. “Pitt” Hyde III, who quoted his grandfather: “For whom much is given, much is required.” That principle led to the creation of Tennessee’s largest foundation — Pyramid Peak — along with numerous philanthropies created by other successful businesspeople and buttressed by the sale of St. Francis Hospital to establish the Assisi Foundation. And yet, it was not merely the creation of more philanthropies that made the difference. Rather, it was an entirely new way of acting. Foundations traditionally were reactive, waiting for people to ask for money and deciding whether to approve them, but beginning most notably with the new foundation by Pitt Hyde and his wife, Barbara, a new brand of philanthropy called for more than writing checks. It instead called on funders to get into trenches to drive results. Because of it, there was lobbying in Nashville to change laws, working in Memphis with elected officials to create public/private partnerships, and setting civic priorities and backing them up with pivotal funding. It was the presence of these high-functioning Memphis philanthropies — with more than $200 million in annual giving — that attracted the attention of the $4 billion Kresge Foundation, which broadened its concentration on Detroit to include New Orleans and Memphis. Since 2014, the Kresge Foundation has made more than $5.5 million in grants to Memphis organizations, including a special open-call grant program that marked “a significant acceleration of Kresge’s commitment to Memphis,” according to Chantel Rush, program officer with its American Cities Practice. The program gave a total of $1.3 million to 10 organizations. “Memphis-based nonprofits are undertaking important work to expand opportunity for Memphians with low income. This suite of investments recognizes the good work under way,” she says. In the distinctive language of philanthropy, Kresge says its goals were supporting the “articulation of community priorities to inform decision-making,” enhancing “the capacity for transformative change, including collaboration,” “strengthening neighborhoods and systems of opportunity, and “place-based work.” Two nonprofits — Knowledge Quest and Neighborhood Preservation Inc. — are spotlighted in Kresge’s annual report. Its addition of Memphis to its portfolio built on Bloomberg Philanthropies’ $4.8 million grant in 2011 to create the Mayor’s Innovation Delivery Team, which has now morphed into Innovate Memphis. Kresge was also part of the $5 million matching grant with JPB Foundation, the John S. and James L. Knight Foundation, and the Rockefeller Foundation for the “Civic Commons” project whose most visible impact is a completely reimagined Mississippi River Park. In addition, to create the riverfront that Memphis has dreamed of in almost two dozen plans since 1924, Kresge even loaned Carol Coletta, Memphian and senior fellow in its American Cities Practice, to head up the Memphis River Parks Partnership to help get it done. SCM, There has been allot of this “there was lobbying in Nashville to change laws, working in Memphis with elected officials to create public/private partnerships”. But SCM, are you sure about this ” get into trenches to drive results” ??? My short answer is yes. I remember direct lobbying in Nashville and here on policy issues. For example, Pitt Hyde and David Popwell testified to legislative committees after personally lobbying people on educational issues. Also, as for Mr. Hyde, he rolled up his sleeves to get the Grizzlies here and before that, I was on the board at the National Civil Rights Museum at a time when they were contentious and he never missed a meeting despite the personal attacks against him and continues to serve as chair of executive committee (put directly, I can’t imagine that the museum would have survived and thrived without him). Various philanthropists are actively leading a number of boards that are doing important work. SCM I agree with you on Hyde and NCRM. It’s a world class production. Grizzlies too. But I’m confused by the lack of results from public-public private partnerships in economic and workforce development of the last 8 years. At this point the former concern is well documented and quantified to a large extent. We agree on lack of economic progress but there’s so much blame to go around. This post is about philanthropic work. Also, Mr. Hyde led creation of Bioworks Foundation. Epicenter, medical district initiative. Those were largely philanthropic. Without a doubt the biggest form of philanthropy in Memphis is the many forms of government assistance paid out to our citizens. Like them or not, Government handouts are definitely a major force in our economy.